Is Under Armour Planning Another MVP Releases Of The Curry One? 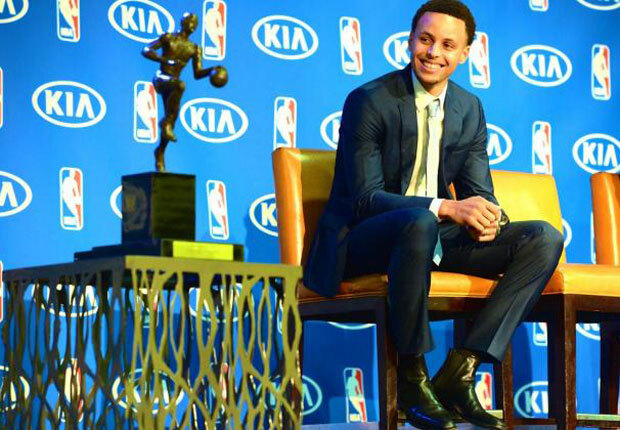 Is Under Armour planning another UA Curry One “MVP” release? Perhaps the brand has its eyes set on releasing a pristine white and metallic gold aesthetic on the recently introduced UA Curry One Low for later this summer, as the teaser image below indicates. The Anafoam upper returns to match a crisp white lining while a tongue patch features Steph’s signature on a ‘2015 MVP’ on a gold tag. With the UA Curry Two on the horizon, the release slate remains a bit murky for Curry’s first model with UA, but maybe we’ll be lucky enough to see this sample hit retail shelves in a surprise drop. Stay tuned.